Hang on to your hats! Red 5 Studios just did a table-flip and Firefall is forever changed. Fruitless Pursuits was invited to the press event at PAX-East 2013 which outlines the details of this revamp. 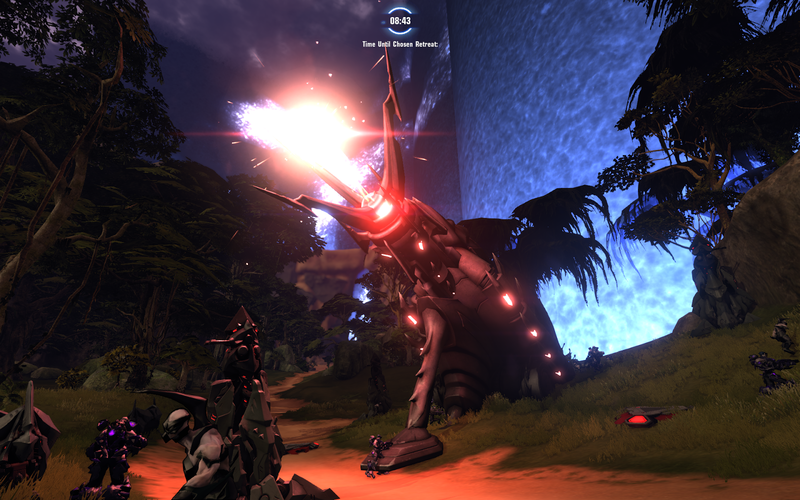 Red 5 Studios re-worked their groundbreaking free-to-play MMOFPS several times in the three years Firefall has been in beta status. This patch, released for the first day of the convention, is a huge undertaking. After sitting through the panel consisting of Red 5 CEO/COO Mark Kern and Lead Designer Scott Youngblood, I spent the next week experiencing as many of the changes as I could. 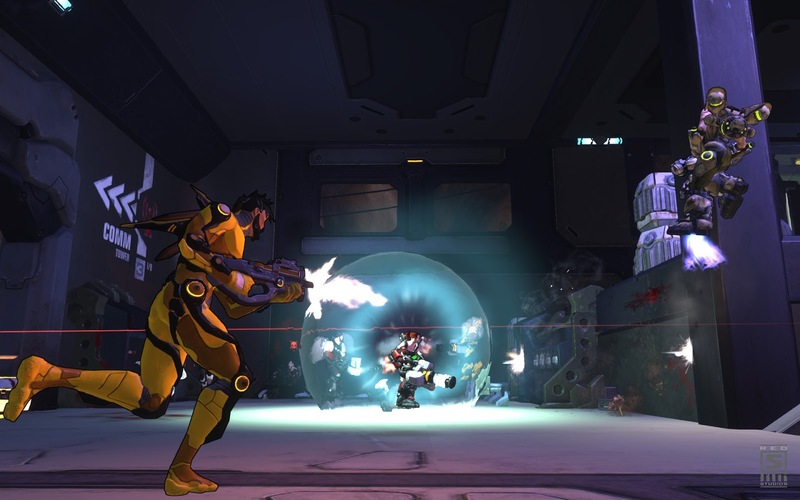 The earlier versions of Firefall featured battleframes separated in tiers. That’s no more. This change has major ramifications both in PvE and PvP. The old tier system forced players into a technology tree unlocked through experience points. Players had to level through technology they didn’t necessarily want in order to get to the more desirable parts of the tech tree. This went against the designer’s vision of Firefall not having level-based character progression. Technologies like jumpjets, weapon systems, and special abilities are now available through a completely revamped crafting system. This means that what a player can do is no longer solely dependent on how much experience they’ve earned. Rather, the amount of resources and raw material they’ve acquired from PvE or PvP rewards dictate their available armament. While players still gain experience from participating in events in PvP and PvE, the tech upgrades aren’t based on experience gained by the player. The experience points, along with gathered resources, are used to increase the capabilities of the frames to accommodate technology. Without the tiers, all battleframes are now created equal. The crafting system is a lot more complex, requiring more raw material and intermediate components to be constructed before one can acquire a final piece of battleframe-installable gear. 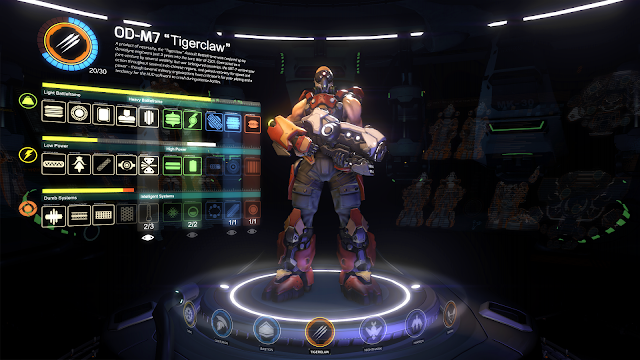 With the tier system gone, Firefall can now truly call itself a class-based game as opposed to a level-based one. After this major patch, thumpers (monster-attracting mining drones) are now visible in the world map. Anyone can join in a thump to annihilate bugs and keep the thumper intact. Before the update, players helping out on a thump would have to become part of the squad to receive any kind of credit for the thumper’s haul. These scenarios can be very hectic: monsters swarm in from every angle and explosions are happening everywhere. In the middle of the chaos, a squad leader would be encumbered with adding newcomers into the group. It can also cost the squad their bounty. Now, anyone with a gun helping shoot critters trying to bring down the thumper gets a small share of the loot without affecting the rewards the owning squad receives. This provides players with an incentive to be good neighbors in New Eden. I’ve noticed more player interaction due to the rewards of helping each other out on a thump. Prior to the update, I’ve had players ask me to go away when I start shooting at mobs trying to destroy the thumper, because they didn’t want to lose the experience. See someone’s thumper getting overwhelmed? Go help them! You’ll get paid one way or the other and everyone makes out. New areas were opened up, new enemies introduced, new dynamic events, new missions, etc. I was at a loss as to what to check out first. Between having to respec my frames and going out into the world to complete missions, my head was basically spinning. There wasn’t enough time during the week the patch has been out to check everything out. On top of it all, there has been a major graphical overhaul of the game. Battleframes glow brighter in the dark, there’s much more detail and flow to the water effects. There is more texture to the ground you walk on. New Eden looks much prettier in the day, much more foreboding in the darkness of night. With the changes in place, PvP and PvE can be considered two entirely different games. You can no longer bring your crafted PvE gear to do battle in PvP. This change was made to balance out the fight. It was entirely unfair for a player whose sole interest is skilled PvP, with little care for PvE, to face someone who brought a powerful elephant gun made out of some rare material from PvE. Now teams can win based on skill, communication, and teamwork instead of who brought better weaponry. With the tier system gone, everyone is lumped into the same category with standardized frames. The loadouts differ according to which flavor of a class’ frame you don. For example, an Assault class frame currently has three different versions. Each version has different functionality in regards to their primary weapons and special abilities. Being a mostly Tier 1 PvP’er in the past version, I was overwhelmed at first. There were so many abilities, explosions, and random flashes of light I’d never seen before! The screen looked really busy. It didn’t start making sense until I started cycling through the frames to figure out that everyone is in the same boat, equipment-wise. Being both a PvP and PvE player, one thought I had was “But I take pride in the gear I make and I want to use it to kill other humans.” Scott Youngblood, head designer of the game, calmed my fears by promising “hot army on army action” when Open World PvP becomes available. 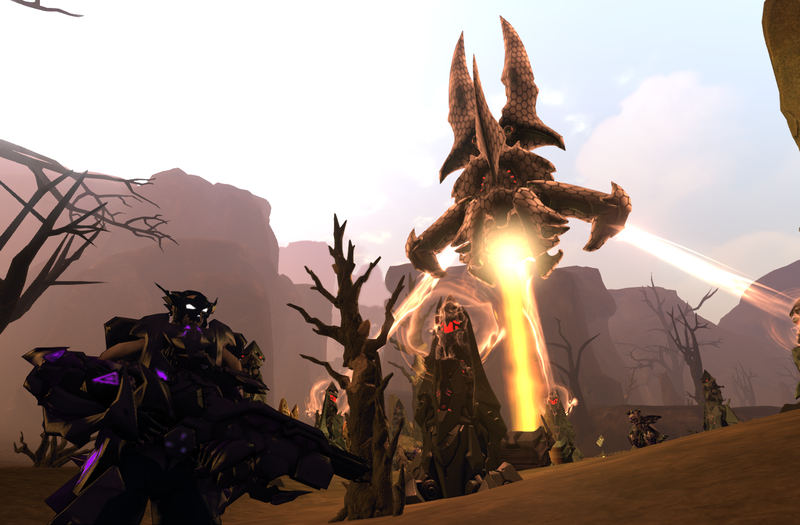 PvP in Firefall is now more balanced and paves the way for the fair, skill-based combat and structured matches that the eSports arena demands. Red 5 Studios made a better Firefall with this release. The move to completely separate PvP and PvE was a gutsy one. It involved a reset of battleframes and in-game currency. This put the growing player-base at risk, but a necessary move in keeping the developers’ goals and vision in focus. These changes are indicative of Red 5’s commitment to the promises they made when they launched Firefall: create something groundbreaking and never before seen in MMOs, steer clear of level-based achievements to avoid the “just another MMO stigma”, and launch a platform for the rapidly growing eSports market. Red 5 has made the proper moves in order to achieve these goals. Although still in its infancy, Firefall is already a great game and is only getting better.